Cellular-enabled baggage can track its location, charge electronic devices and even play music. It wasn’t long ago that the main selling point of a piece of luggage was its durability. Like many travelers today, he is looking for technology to go along with durability. He stumbled across a carry-on bag controlled by smartphone — with a Bluetooth-enabled lock, GPS tracking and a USB port for recharging a device. It has a built-in scale, too. “I’m a little bit of a geek, always looking for products that extend from my phone, that connect my world and me,” said Harwood, a 30-year-old software developer from Austin, Texas. Why should luggage be any different? At the crowdfunding site Indiegogo he was among the first to buy into a startup called Bluesmart that is developing a connected bag. Harwood has plenty of company. Bluesmart raised more than $2 million from more than 10,000 backers, far surpassing its goal. 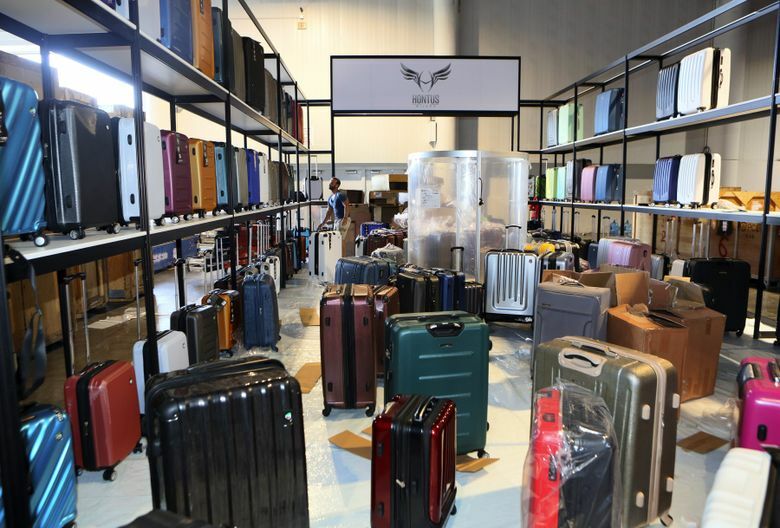 Bluesmart, which expects to deliver its first bags in October, is part of what has become a stampede of businesses — both startup and established — into the nascent connected luggage industry. Samsonite is introducing a new line of GeoTrakR suitcases, containing a cellular-enabled baggage-tracking system, Samsonite said its new line of smart suitcases, made of ballistic-weave nylon, would be in stores by late summer and come in four models. Even telecom companies are interested. AT&T is researching development of a smart bag, described in a YouTube video posted last summer, that tracks a bag from airport to airport. Rimowa, a German luggage manufacturer, is jointly developing a smart suitcase line called Bag2Go with Airbus and Deutsche Telekom. The new bags, expected to be available next year, will interact with sensors in the cargo holds of Airbus aircraft to identify their location. Bluesmart is not the only luggage venture raising money through crowdfunding. Trunkster collected $1.4 million from 3,500 investors through Kickstarter, easily surpassing its goal. Jesse Potash, a co-founder, said it would release a carry-on and a suitcase in late summer. Trunkster’s bags will have a tracking system, a scale and a battery with two USB chargers, Potash said, as well as a roll-top entry providing quick access. The push for the connected bag solves one of the most vexing problems for travelers — lost luggage. Travelers who want to track their bags but not replace luggage they already own, or who are concerned about a suitcase’s embedded tracking system possibly malfunctioning, have another option: free-standing devices. Beside LugLoc — which uses Bluetooth and GSM technology and costs $70, plus additional search fees — there is Trakdot, whose GSM device texts and emails users the location of their checked suitcase when their plane lands and costs $50, plus an annual service fee of $20. Franck Dubarry, founder of Lev Technology, said his company would introduce a Smart Unit device this summer that will tell users where their bags are after flights. It will cost $99, plus activation and other fees. To comply with regulations governing personal-electronic devices, the tracking systems are generally designed to automatically shut down once they are stored and to turn back on once a plane lands.